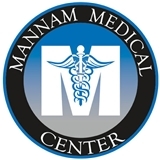 Mannam Medical Center (Bronx) - Book Appointment Online! Always professional and always thorough. Dr. M will always make himself avail even to your concerns. You can be assured that you health is in his best interest.